Salon-quality styling at your fingertips! Use the brush normally and let the straightener give you salon-like results. Do you want to look as though you’ve just stepped out of a salon? 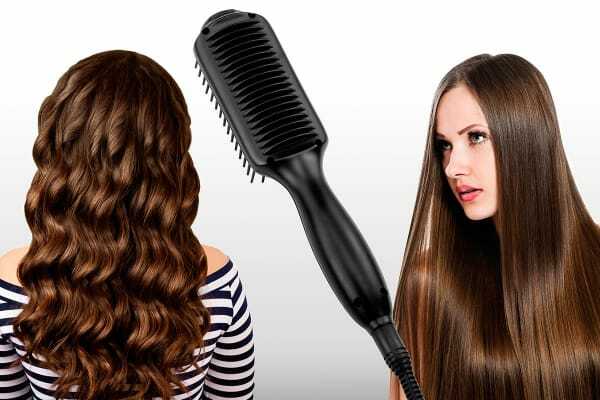 Then, give your crowning glory the advantage of the Estelle Hair Straightening Brush. It’s simple to use and gives unbelievable salon-like styling at a fraction of the time and cost! A heat setting that’s just right for your hair! 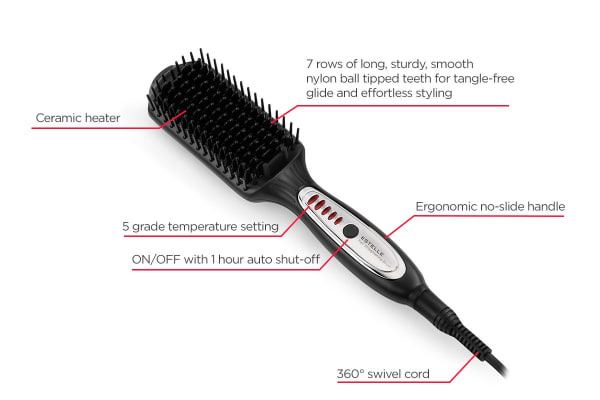 Select from five different heat settings on the brush handle to find one that suits your hair perfectly. Premium materials, because you deserve the best! 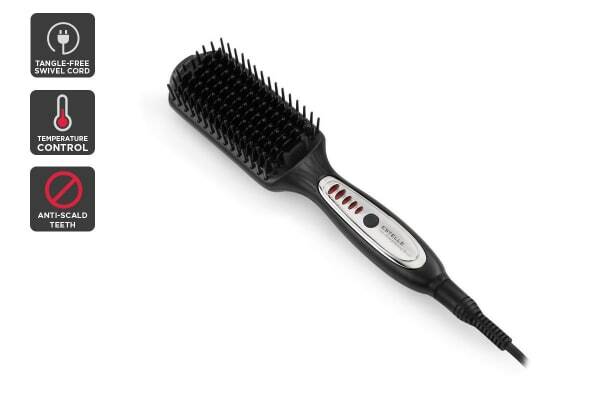 The Estelle Hair Straightening Brush is made of premium materials to give your hair the treatment it deserves. Seven rows of long nylon ball-tipped teeth on the front side of the brush make for tangle-free gliding and effortless styling. The smooth surface of the ball-tips prevent damage to your cuticles and protect your scalp from heat. The back of the brush has 5 rows of thin, flat teeth with a super smooth surface area making sure that heat is distributed evenly while you brush your hair to silky smoothness. The Ceramic Heater uses ceramic tourmaline technology to heat up swiftly and deliver even heating over the entire brushing surface. What this means for you is that it’ll just take a few minutes for you to get great looking styles that last longer! It’s more compact than my previous one and works well.